Our clients at Nexxus Group® excel at what they do, so it is no surprise to us when any of them earn industry recognition. Kwik Trip of LaCrosse, WI found itself in the limelight recently, selected as 2018 Convenience Store Chain of the Year by Convenience Store Decisions. Kwik Trip is CSD’s 29th Chain of the Year winner and the second two-time choice. The company will be honored in October in Las Vegas. What sets Kwik Trip apart? We concur at Nexxus Group. Nexxus Group clients dominated the CSP Daily News annual Top 202 list of the largest convenience store chains ranked by store count (as of Dec. 31, 2017). Our clients claimed nine of the Top 10 and 11 of the Top 20 spots. It is noteworthy that Speedway parent Marathon Oil is purchasing Andeavor (formerly Tesoro), which bought Western Refining in 2017. Additionally, EG Group purchased the Kroger Convenience Division in February. Leading European convenience store operator and fuel provider EG Group is using the proprietary NexxHub™ Scan Based Trading platform by Nexxus Group® across EG Group’s recent acquisitions in the United States. 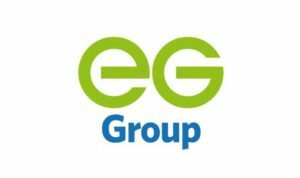 EG Group, based in Blackburn, Lancashire UK, is Nexxus Group’s latest European client. The company acted quickly when Kroger shopped its convenience store division earlier this year. It entered into a definitive agreement with Kroger on Feb. 5. The $2.15 billion acquisition was completed in late April. “We look forward to building upon the great relationships we have had over the years with the Kroger Convenience brands and the potential to expand our SBT platform in new ways through our partnership with EG Group,” says Russ Fant, Nexxus Group president. Family-owned and operated Big Y, Inc. is using the proprietary NexxHub™ Scan Based Trading platform from Nexxus Group® at 79 Big Y locations in Massachusetts and Connecticut. New England’s fourth-largest supermarket group has 77 branded locations and two standalone specialty shops. The company generated $1.7 billion in revenue in 2015 and employs approximately 12,000. The company is expanding its Springfield distribution center by 234,000 square feet. The project creates 152,000 square feet dry for product storage and 82,000 square feet for refrigerated storage. Big Y earlier completed $5.4 million in renovations to its stores in Milton, MA and Easton, MA. Long-term plans include construction of 20 new-to-industry stores. Quick-Way Associates II, Ltd. of Dallas, TX joined with the Nexxus Group® to employ its proprietary NexxHub™ Scan Based Trading platform at convenience stores in eight states. Quick-Way Associates II, established as a private company in 1950, is the owner-operator of 73 Fast Market and Fiesta Market convenience stores in eight states. The company merged with leading wholesale motor fuel distributor Empire Petroleum Partners in 2011. The annual North Shore Medical Center Cancer Walk is a summer staple for Rick Sweeney, a Senior Software Engineer at Nexxus Group®. He and his wife Jodie participated many times in memory of his dad, who died from colon cancer 10 years ago. This year, accompanied by the couple’s six-year-old daughter, Rick walked in support of his wife, who was diagnosed with Stage III breast cancer in January and has been undergoing treatment at the Cancer Center. When Catie Cullen ran the 122nd Boston Marathon in April, her emotions were understandably swirling. While celebrating her son Dominic’s 10th birthday, Cullen ran as a member of the Boston Medical Center Team in memory of her late husband Carl, who passed away in December 2016. She raised funds for BMC’s trauma and emergency services center to acknowledge the efforts of personnel during her husband’s final days. Do you want to see which stores, products and pricing you are set up for? All of that information (and more!) 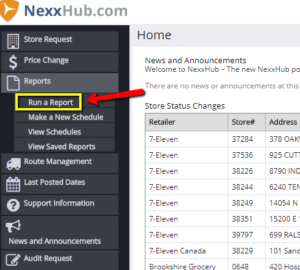 is right at your fingertips under your NexxHub Reports! You can save time by viewing ‘Your Store List By Product’ to see what is currently set up under your Account prior to submitting a Store Request or Price Change.